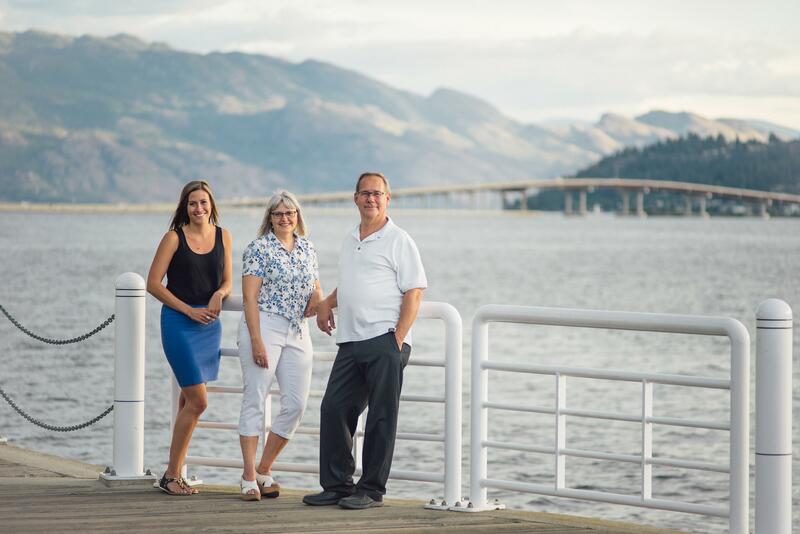 Welcome to your source for Kelowna Real Estate! If you are viewing this page it is likely because you are interested in either buying or selling a place in the Kelowna area. As our name implies, we are a husband, wife and daughter team dedicated to providing you the best possible service! We have 30+ years of combined experience and with all this knowledge, we are able to make your real estate transaction an easy & enjoyable one! If you are thinking of selling, we would be happy to provide you with a Professional Realtor Appraisal. In today's competitive real estate market, timing is everything. Many homes are sold before they are ever advertised. We can help you find the hottest new homes for sale in Kelowna with our new listing notification. Whether you are buying or selling, we would be honored to work for you by offering our expertise and team work. With two of us, we've got you covered on a variety of areas including: condos, town homes, single family homes, land, and waterfront properties. This website provides valuable information regarding listings and real estate . Because we live, love and sell the Okanagan we look forward to helping you make this your home as well! #1 - 1890 Cooper Rd.